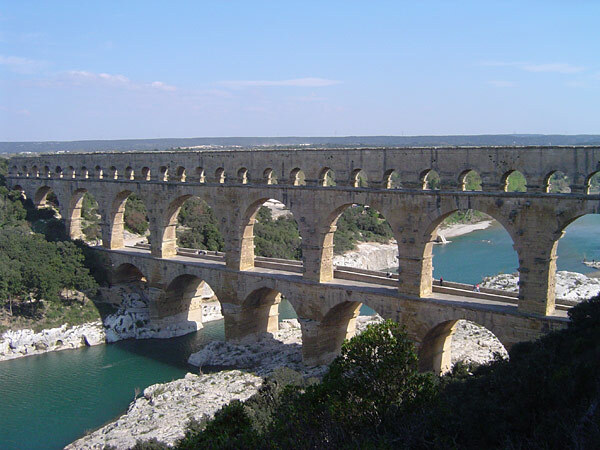 The aqueduct was made, so that water can be transported from other place to the town or city to provide them water. The first aqueduct to get built by Romans and was built during the seventh century BCE. Athens and Samos where the ones to first own the aqueduct. It was made for getting water from a resource and taking it to the city or town. The aqueduct was made in a loadable kernel modules tunnel that was in Rome. The distance of the aqueduct was 2.5 km long. Homer was the creator of the Roman literature Iliad. The book described the last year of the Trojan war, it was a conflict between two Greek cities that had a alliance. The book was written somewhere around the eighth century BCE. The book was made so people could know what specifically happened in the last year of the Trojan war. The Iliad was claimed that it was a truly great story. The Arena di Verona was constructed in the first century A.D. The arena was made for the entertainment for the citizens by the struggles of wild beasts or other events that are in a popular nature. The Romans built the arena that was located in the margins in the urban area. The arena was made by the Romans wanted to entertain the citizens, so they decided to create the Arena di Verona. The Column of Marcus Aurelius is placed in Pizza Colonna which is in Rome and was constructed by Commodus in the memory of his parents in the time of 180 CE. The column was made because the Trajan's Column inspired Commodus to make the Column of Marcus Aurelius. On the column there's representations carved in relief of the military campaigns that were successful against the Quadi that was across the Danube.